Whether you have recently separated, have been separated for some time, communication has broken down with a former partner or you have recently had a child, you may wonder what your legal entitlements are in relation to who your child or children can live with, spend time with and what decisions you are entitled to be a part of making. Parenting children is no easy task and is made even more difficult when relationships break down. We believe that it is generally in the best interests of all concerned if both parents are able to sit down (with or without legal representation) at an informal conference or formal mediation to discuss parenting arrangements for the children. It is now a requirement that parties attempt Mediation prior to commencing legal proceedings however there are some exceptions to this requirement. We have found in most situations that when given the opportunity of mediating a dispute parents are able to work together and come to an arrangement which is in the best interests of the child or children. However if Mediation is not successful or not appropriate for your particular matter, the next step is to file proceedings with the Federal Magistrates Court of Australia or indeed the Family Court of Australia. Of course it is not always a parent who is seeking to spend time with a child or children or to have a child or children live with them. We have also acted for extended family members such as grandparents, step-parents, siblings etc in this regard. “Live With” Orders which determine with whom your child or children will live. “Spend time” Orders which determine when and on what terms your child or children will spend time with a certain person. “Specific Issues” Orders which deal with matters such as medical or education. “Parental Responsibility” Orders that determine which parent has the long term parental responsibility for your child or children with decisions in respect to the long term care, welfare and benefit of your child or children, including religious decisions, educational decisions and medical decisions. Parenting matters can take several months or even years to reach a Final Hearing in the Court however there are always opportunities throughout the course of your matter to mediate or negotiate a settlement. When it comes to parenting, everything that a parent does has an impact on a child’s potential and development and research shows that parents who have not resolved their differences within many months of separation will have a greater negative effect on the psychological future of their child or children than those parents who resolve their differences. 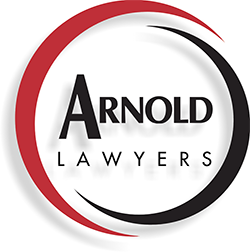 At Arnold Lawyers we understand that your children are the most precious and valued people in your life and therefore how imperative it is that as parents you work together to protect your children from the emotional effects of separation. This is why we will ensure that you are fully informed about the Court process and your entitlements. With our vast experience in dealing with various types of parenting matters and our knowledge that no two matters are ever the same, we can certainly assist you with this highly stressful situation.